Slept in late this morning in our cozy cabin on Snake River. Discovered that my sleeping bag holds four. 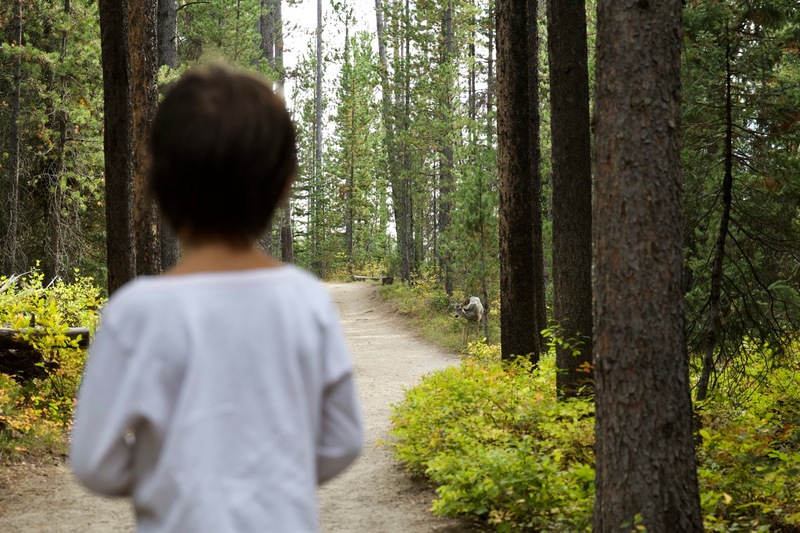 A hike around String Lake was fruitful with deer and elk crossing our paths. Heidi hiked twice the distance as the rest of us, as she skipped most of the way. 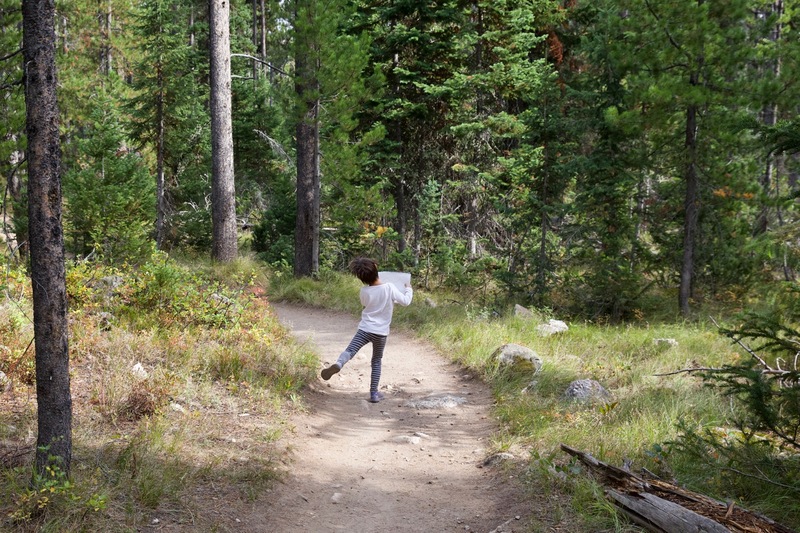 Heidi dancing and skipping through the forest. Tetons, Wyoming. Heidi staring down a deer. Tetons, Wyoming. 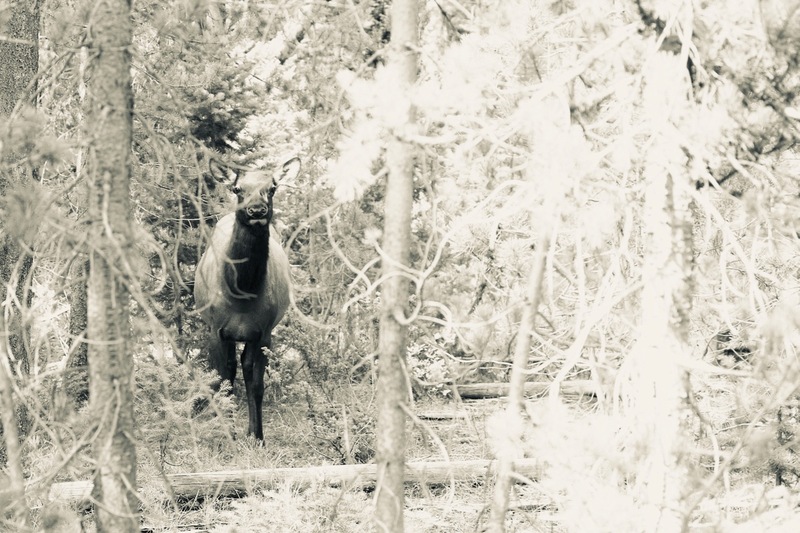 Elk near String Lake, Wyoming. We found our way to oxbow bend to setup tripod for sunset – took a few photos with a 6-stop ND filter into the sun and decided to push further to Snake River overlook. Chatted with a fellow engineer/photographer there (hello Ozeias) as we watched the sun bury itself behind clouds. Thinking all was lost, I left early to give Lily time for animal sighting at dusk but we we realized that Oxbow Bend might possibly have a better chance at sunset. In a final dash, we ended up driving back to Oxbow Bend and were rewarded with a beautiful sunset cast across layers of clouds over a winding river. 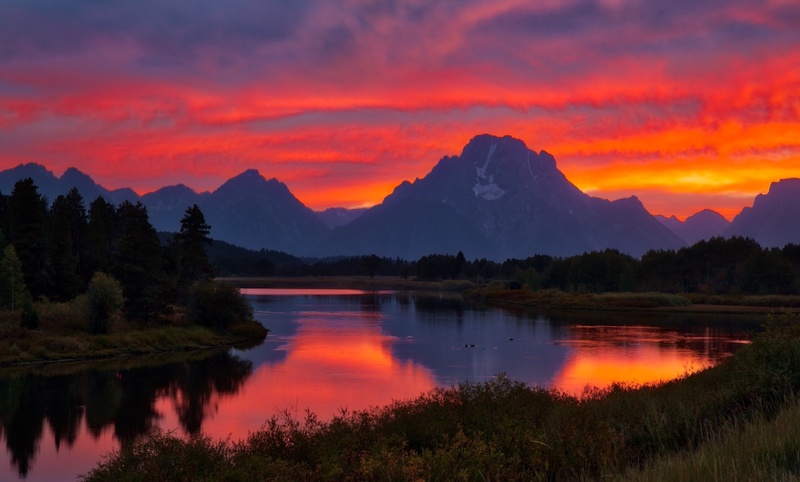 Sunset at Oxbow Bend, Tetons, Wyoming. Holy cow, these photos, Ben! I have got to get to the Tetons someday. Wish I had more than a couple days here! Teton park is particularly splendid in that just about everywhere has the amazing backdrop of granite mountains behind it.